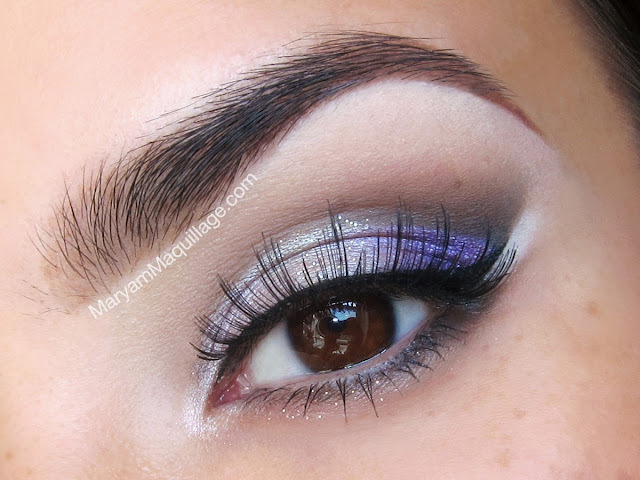 Maryam Maquillage: "Sparkling Lilac" with Motives! ABOUT: Motives by Loren Ridinger and La La Anthony is an award-winning makeup line leading in the customized cosmetics industry, with an aim to create the best makeup for beauty in every shade. Motives is worn by some of today’s hottest celebrities and is a favorite of makeup artists, models and photographers. Motives® by Loren Ridinger strives to empower people everywhere to look and feel beautiful inside and out, while providing thousands of consultants worldwide with an opportunity to live the lifestyle they have always dreamed of. Motives for La La features mineralized products from lipshines to foundation and eye shadow palettes for the everyday woman. INITIAL THOUGHTS: I received a very large, two-package shipment for review and upon un-boxing, was instantly drawn to the bold lip shades and intrigued by the wide array of products in every section of beauty. In the lip products category, for example, Motives features not only lipsticks, but goes far beyond, offering also an entire collection of plumpers, glosses, lip kits and everything in-between. The same goes for eye makeup, face products and skin care, plus Motives also carries a selection of nail polishes, cosmetic tools and accessories. This revealed that Motives is a complete line, fully-equipped for MUA's and consumers alike. PREVIEW THE COLLECTION in my latest Insta-Video on Instagram. IMMEDIATE STANDOUTS: Velvety, highly-pigmented, easy-to-blend eyeshadows that are smooth and consistent, yielding little to no fallout and resulting in professional, long-lasting, opaque eye makeup. THE VERDICT: As a beauty blogger, a makeup artist, a woman of color, a New Yorker and a consumer, I am highly impressed and excited about Motives. My makeup withstood the entire first day of Fashion Week... So, to sum it up -- I'M SOLD!! Using a concealer brush, I applied a thin layer of eye shadow base from the lashes to the brows. I also used the cream colored base to line directly under my brows to sharpen the brow arch. Next, I lined my top and bottom lash lines using a black liner and extended the outer wing, then traced roughly above my crease line using a soft brown liner. Using a small detailing brush, I smudged out the liners in the crease and in the lower lash line. Next, I added a soft brown eyeshadow to the inner and chocolate eyeshadow to the outer crease using a small crease brush. I also sealed the lower lash liner and extended the wing a few mm's. With a clean detailing brush, I applied a purple gel liner to the empty outer portion of the lid and blended the color inwards. 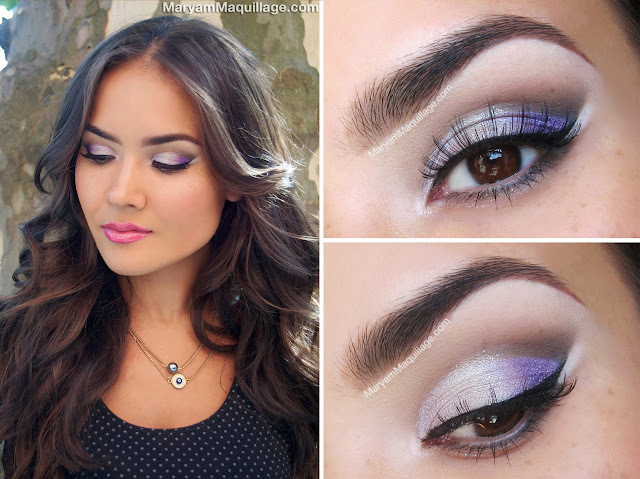 Using a clean concealer brush, I patted on my lid eyeshadows on top of the base and purple gel liner. Next, I used a liquid liner to emphasize and sharpen my top lash line and wing. I used a white pencil liner to line directly under my wing for an exotic doll-eye effect. For the final touch, I added a coat of mascara and spiky false lashes. Motives for La La Mineral Lip Shine in Celeb -- another Motives standout and my new favorite lip gloss!! Smooches my darlings!! 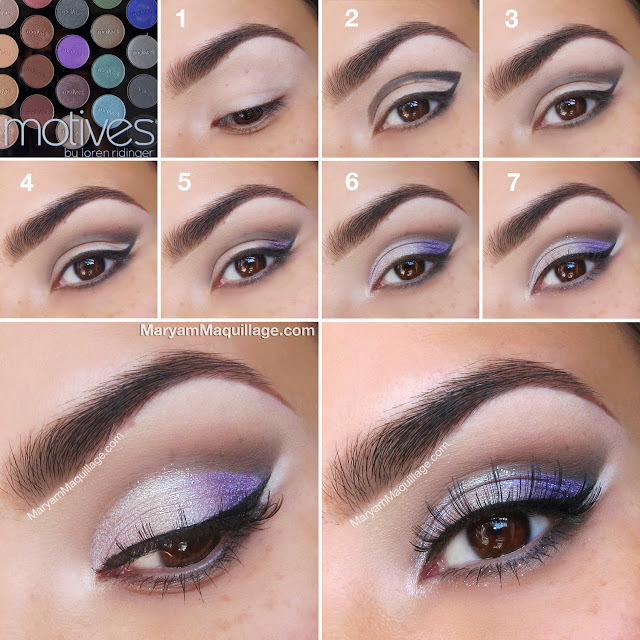 Will you be trying out Motives? Gorgeous, gorgeous look! You make it look so easy!